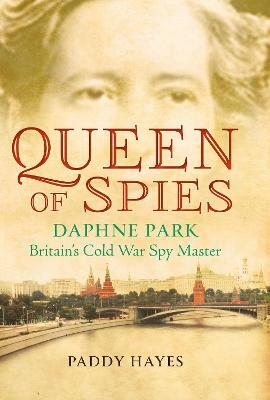 From living in a tin-roofed shack north of Dar-es- Salaam to becoming Baroness Park of Monmouth, Daphne Park led a most unusual life - one that consisted of a lifelong love affair with the world of Britain's secret services. In the 1970s she was appointed to SIS's most senior operational rank as one of its seven Area Controllers- an extraordinary achievement for a women working within this most male-dominated and secretive of organisations. Queen of Spies recounts the fascinating story of the evolution of the Secret Intelligence Service (SIS) from World War II to the Cold War and beyond through the eyes of one of its outstanding and most unusual operatives. Hayes provides the reader with one of the most intimate narratives yet of how the modern SIS actually went about its business and captures the paranoia, the real life 'wilderness of mirrors' aspect of intelligence work, finally unveiling all that it may be possible to know about the life of one of Britain's most celebrated spies. Paddy Hayes was born in Cork and educated in Dublin and Harvard, Massachusetts. He has spent five decades researching the world of intelligence whilst developing business intelligence and market research companies from his native Ireland. His interest in politics extends to acting as a constituency Director of Elections in the last two general elections in Ireland.